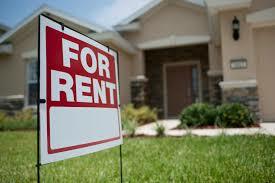 Property managers and landlords regularly encounter debris from rental properties. Whether it is routine maintenance, tenant change, or large cleanouts, the quickest method to miss as few leased days as possible, is using a roll-off dumpster for junk and debris removal. This will also be the time when repairs are made so the next tenant can move in, such as broken fence pickets, holes in walls, broken doors, cabinets or drawers. And there will be situations where the tenant did not inform the owner of issues, such as a leak. The result could be a repair as bad as mold and at the least, damaged dry wall. Indoor and outdoor maintenance is required for all property. A dumpster will help property managers and landlords with quick cleanup. For example, a bin can be utilized for inside maintenance, such as air filter replacement or indoor painting. Outside maintenance lists could consist of gutter and downspout clearing. Old siding or damaged trim can be replaced, along with torn window screens. Other outdoor maintenance is checking the roof shingles. This can be done by a professional, but the few squares replaced, can also be included in dumpster to maximize the use. Also, yard cleanup with tree and shrub trimming, clearing away from the home and electrical lines, is usually an annual job. The more frustrating situations for property managers and landlords are total cleanouts. 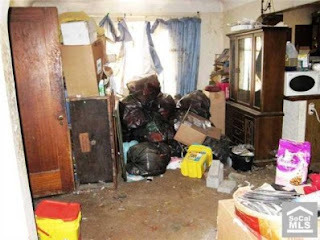 There are situations when renters leave unexpectedly or abruptly, leaving behind a large amount of trash and junk. The items could range from food to clothes, to broken furniture or appliances, all unwanted by the tenant and left for the property owner to remove. There are also unfortunate events such as flooding, storms, and even fire, that could create a total cleanout, including the tenant’s damaged property. Whether expected or unexpected cleanup, the rental of a roll-off dumpster will quickly remove junk and debris from rental properties, freeing them up to be leased again. Roll-offdumpsters are the smart choice for property managers and landlords!